Everybody knows that when your NES cartridges aren’t working right, the best way to fix them is to hold the open end up to your mouth and give a gentle little puff to clear out any dust particles. If that doesn’t work, you give a mighty blow like you’re trying to kill the three little pigs, possibly while moving the cartridge left and right like a pan flute. 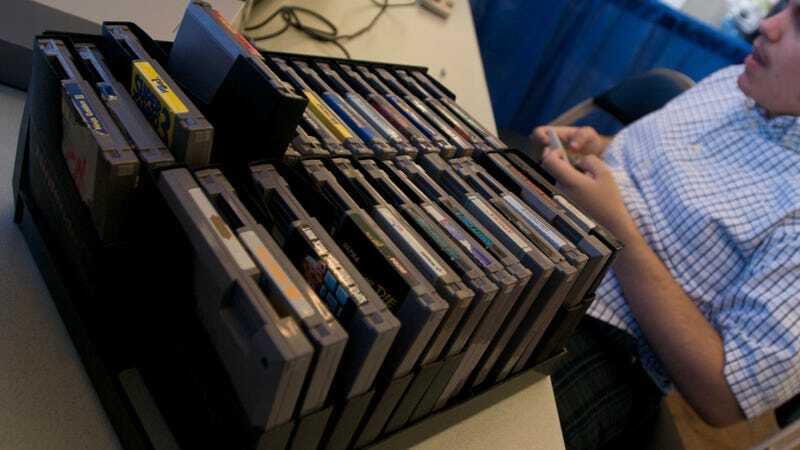 However, something that a lot of people don’t know is that blowing in your video game cartridges is actually bad, because ‘80s kids were stupid and everything you believe is a lie. The Verge got to the bottom of this retro myth in a new video, explaining that the idea of blowing into your cartridge when it doesn’t work right is really an example of the placebo effect. Apparently, the simple act of reinserting the cartridge over and over again is actually what makes it work, not the magic blast of spit you just launched into the bottom of Duck Hunt. Nintendo even took (very minor) steps on future game consoles to try and dissuade people from doing this dumb thing by putting warning labels on the back of SNES and N64 games, but the myth had already become a part of pop culture history at that point. Also, your friend's uncle didn't work at Nintendo. He was lying. How could the SNES Classic be anything but essential?